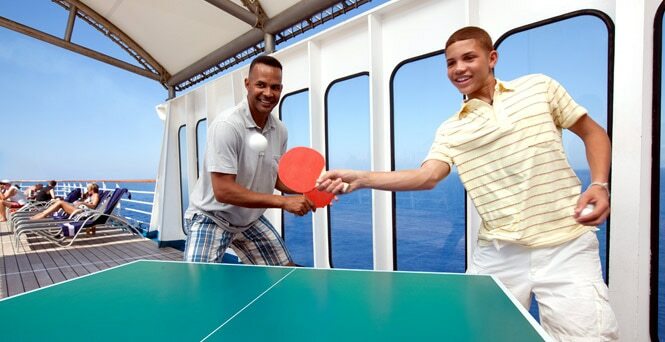 Carnival ships are packed with fun and games to keep that competitive spirit charged up all cruise long. Hours of operation are listed in the 'Fun Times', daily newsletter. Fun for golfers big and small. 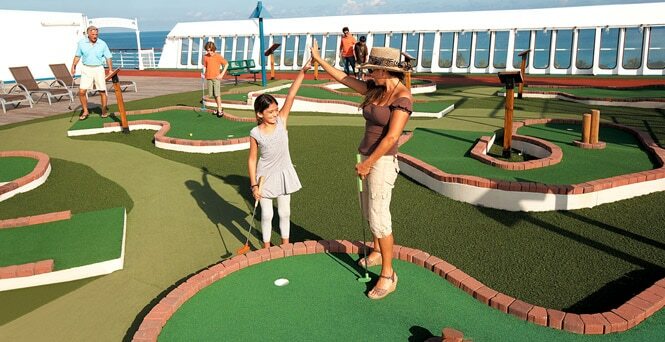 Challenge a fellow cruiser to a round at our mini-golf course. All courses feature 9-holes with the exception of the Carnival Dream (18-holes) and Carnival Victory (11-holes). While away the hours with a little ping pong among friends. 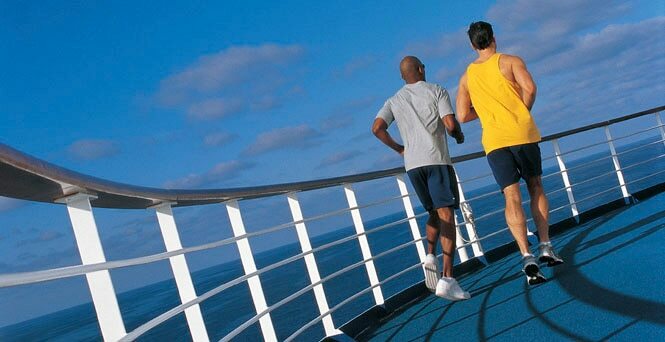 Our ship-top jogging track features some of the best views - featured on all ships (but excluding Carnival Elation and Carnival Paradise). Track length is between 1/7 mile and 1/10 mile on most ships. Featured on Carnival Conquest, Carnival Elation, Carnival Fascination, Carnival Glory, Carnival Liberty, Carnival Paradise, Carnival Radiance, Carnival Sunrise, Carnival Victory, Carnival Vista and Mardi Gras. Featured on Carnival Breeze, Carnival Dream, Carnival Horizon, Carnival Magic, Carnival Panorama, Carnival Vista and Mardi Gras. Featured on Carnival Breeze, Carnival Horizon, Carnival Magic, Carnival Panorama, Carnival Vista and Mardi Gras. Full-courts are featured on Carnival Breeze, Carnival Dream, Carnival Horizon, Carnival Legend, Carnival Magic, Carnival Miracle, Carnival Panorama, Carnival Pride, Carnival Spirit, Carnival Splendor, Carnival Sunshine, Carnival Vista and Mardi Gras. 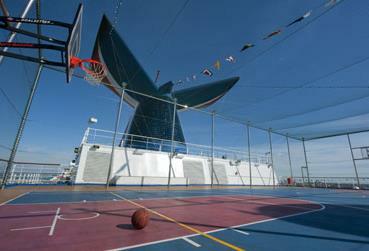 Half-courts are featured on Carnival Conquest, Carnival Freedom, Carnival Glory, Carnival Liberty, Carnival Radiance, Carnival Sunrise and Carnival Valor.